The entertainment on board Celebrity Edge will be just as game-changing as the ship itself. Guests will experience the brand’s most technologically advanced main theater, the most production shows of any ship in the brand’s history, the largest cast of world-class performers on any premium cruise ship, and more entertainment venues than ever before. Expertly designed and fully contemporary, The Theatre offers unparalleled entertainment in a dynamic setting at sea. Immersive acts meet innovative technology on an ever-changing stage that displays everything from whimsical productions to edgy experiences. The main stage extends into the audience creating a theater-in-the-round sensation. A duo-directional rotating platform raises almost seven feet above the stage. 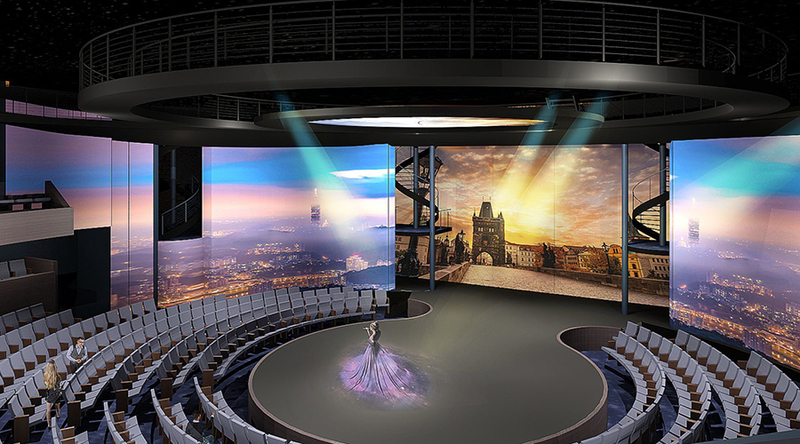 The technology behind The Theatre supports a rotating spiral staircase, 10 synchronized panoramic projection screens, 16 state-of-the-art video mapping laser projectors, and aerial performance rigging. It is as impressive as the show itself. “In designing Celebrity Edge, we developed and used some of the most advanced technology available. And, in designing the entertainment venues on Celebrity Edge, we used those same tools to break the mold of what people think an entertainment venue is,” said Brian Abel, Senior Vice President, Hotel Operations, Celebrity Cruises. The entire stage performs a precise synchronization of rotating stage platforms, rain curtains, spiraling staircases, flying aerial rigs, and the tallest projection screens at sea. The Shakespeare-inspired A Hot Summer Night’s Dream, where light-hearted theater meets extraordinary acrobatics. The Jewelry Box, with its jaw-dropping technological feats. Get Up, a dynamic pop concert produced by Black Skull Creative and part of Celebrity’s new Headline Residency program. The Purpose, another show from Celebrity’s new Headline Residency program is an uplifting production designed to celebrate the inner self. Visionary design and innovative entertainment have come together through the collaborative genius of Scott Butler, the award-winning founding partner of Wilson Butler Architects; Patricia Urquiola, world-renowned industrial designer and art director; and Tom Wright, internationally acclaimed architect and designer of the Burj Al Arab Hotel in Dubai. To make all of The Theatre’s technology run like clockwork, Celebrity collaborated with TAIT, a leader in the stage automation business. 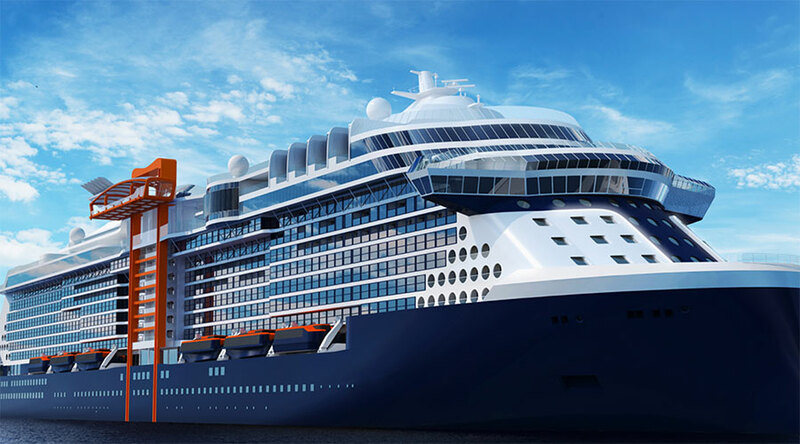 Celebrity Edge brings award-winning shows and world-famous productions through exclusive brand partnerships with Black Skull Creative and Three In One Entertainment and Consulting. Celebrity Edge will spend her inaugural season (beginning in December 2018) sailing alternating seven-night eastern and western Caribbean itineraries. In 2019, she will sail the Mediterranean with a range of seven- to 11-night sailings from iconic cities like Barcelona and Rome. If you are interested in sailing on Celebrity Edge, we are taking reservations for both the 2018 and 2019 seasons.